Time to clear the confusion on cannabis oil. Did you know that the cannabis plant can produce over 400 different chemical compounds? Many of these compounds are expected to have therapeutic potential, including the molecule that causes the famous cannabis “high”. Amazingly, a good number of these healing compounds are fairly easy to remove from the plant and concentrate into medicines, like cannabis oil. Cannabis oil is the concentrated essential oil of the cannabis plant. Just like lavender and other medicinal herbs, it is possible to extract fatty resin from cannabis flowers and leaves. The sticky, crystal-like structures on the surface of the plant are resin glands, called trichomes. These resin glands are what contain the greatest concentration of medicinal compounds. Tetrahydrocannabinol (THC), the primary psychoactive in cannabis, is one of the most abundant chemical constituents of cannabis resin. Cannabidiol (CBD), a compound that has recently been approved as a treatment for intractable epilepsy, is also found in cannabis resin. To concentrate these compounds, extractors typically use a solvent to melt the resin glands off of the plant. This process separates the resin from the plant material, creating a useable cannabis oil. Cannabis oil can be made using a variety of solvents. At-home extractors tend to use ethanol or a high-proof grain alcohol to do the job. However, the oil can also be extracted using CO2 or other gasses, using industrial equipment. The result of these extractions is often a dark brown or amber goo, depending on the solvent used. This goo can be administered via an oral syringe or used to fill pill capsules. Cannabis oil can also be used as a localized topical. Some products marketed as cannabis oils are also infusions of resin into another oil base, such as olive oil, MCT oil, or coconut oil. Vegetable glycerine can also sometimes be used as an emulsifier or to make an alcohol-free cannabis tincture. Cannabis oil is sometimes called full-extract cannabis oil (FECO), Rick Simpson Oil (RSO), and Phoenix Tears. Cannabis oil can benefit a lot of serious ailments. Cannabis oil is one of the most highly concentrated forms of the herb available. The amount of total cannabis compounds you consume in one gram of cannabis oil can be vastly greater than what is comfortable to inhale. However, while cannabis oil can be quite strong, this strength serves a purpose. Medical cannabis oil is often preferred by patients needing relief from serious medical conditions, including cancer, epilepsy, arthritis, and multiple sclerosis. The way in which medical cannabis oil benefits these ailments is unique to each condition. Further, every individual patient will require their own customized dose of oil to meet their needs. There is no one-size-fits-all with this stuff. Patients will also need to consult a canna-savvy medical professional regarding what blends of cannabis oils may be ideal for them. For example, a patient with breast cancer may find that a large dose of oil high in CBD works best, while a patient with a brain tumor may perform better with a high-THC variety. Unfortunately, without working with a medical professional and going through a process of trial and error, it can be difficult to tell what types of oil will provide maximum relief for any specific condition. Still, it is important to keep in mind that every individual may or may not experience these benefits with different dosages and different combinations of oils. This variability is why working with a professional is advised. Both CBD and THC bring a lot of medicinal value to the table. CBD oil is made in a similar process to other cannabis oils. The primary difference is that CBD oil is extracted from cannabis cultivars with high levels of CBD and low levels of THC. Hemp-based CBD oil is extracted from plants that contain less than 0.3 percent THC, making the oil completely non-intoxicating. However, it is important to mention that hemp is still considered cannabis, with the difference being that it was bred over generations to produce a different chemical profile than the psychoactive variety. Feeling a little too stressed out? CBD may be able to help. Early animal experiments have found that the compound has anxiolytic properties, calming the nervous system and ameliorating fear. These anxiety-reducing characteristics have also been demonstrated in a limited number of human trials. For example, high doses of CBD (600 milligrams) have been used to ease public speaking anxiety in a trial that included individuals that have been previously diagnosed with social anxiety disorder. Chronic pain is the #1 reason people use cannabis. Perhaps the most common reasons consumers pick up CBD hemp oil is for pain relief. The cannabinoid is a well-known analgesic. In fact, it has been successfully used in combination with THC by patients with pain related to multiple sclerosis. Animal trials have also found CBD to be an effective pain-reliever. There is a reason why there are a growing number of athletes advocating for further research into cannabis medicines. CBD oil, which does not provide an intoxicating high, has shown strong neuroprotective properties in early laboratory and animal experiments. These neuroprotective properties potentially mean that CBD oil and other preparations may be used to reduce stress, damage, and inflammation to the nervous system. The arguably most important organ of the nervous system? The brain. Currently, research regarding the use of CBD as a tool for reducing the impacts of concussion and reducing damage from athletic head trauma is underway. Should this research prove fruitful, CBD may one day be used to protect and heal forms of traumatic brain injury. What are the side effects of cannabis oil? Cannabis oil can have several different side effects. Thus far, few side effects are associated with CBD oil, and it is considered generally well-tolerated overall. There is also a growing body of case studies that suggest that prolonged and protracted cannabis consumption may lead to a condition that causes cyclic vomiting. This is an important consideration for those taking high-dose cannabis oil daily for a number of years. However, the exact prevalence of cyclic vomiting in cannabis consumers is not yet widely known. Where can I find cannabis oil? If you don't have safe, legal access to cannabis products, finding quality oil could be a challenge. Cannabis oil containing THC is often available at medical cannabis dispensaries and other access points. Some recreational dispensaries also carry the oil, though typically with more limited availability. CBD oil is far more easy to acquire. It is sold as a nutritional supplement online and can be delivered to the doorstep of the canna-curious in many different countries. Although because the CBD market is not thoroughly regulated, consumers will want to vet potential suppliers and manufacturers for quality reviews and transparency of their manufacturing processes. Both types of oil can also be made at home, though the process can be quite dangerous without professional training. Proper safety procedures when working with any solvent are a must. These solvents can be explosively flammable and Green Flower does not recommend you this without professional oversight or training. 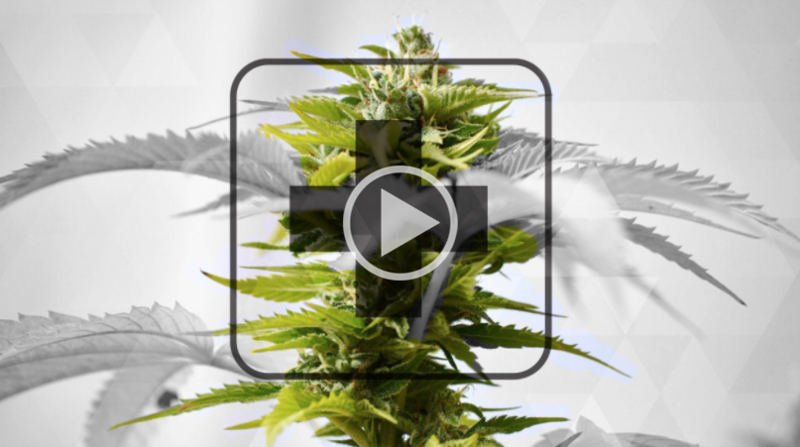 Watch Green Flower's helpful online session with Nurse Heather today. Do you want to learn more about cannabis oil and how to use it? Medical Cannabis Gets a Compassionate Victory in Maine! Does Cannabis Improve Symptoms of ADD/ADHD?